Innovation management – as part of a company’s strategic focus – is becoming increasingly important. Business innovation is one of the most important drivers of competition. Companies have to develop new products and digital business models at an ever faster pace. Trends such as digitization are forcing organizations to rethink and reinvent business models. Faced with these major challenges, innovation management is subject to change: moving away from incremental innovation and rigid innovation processes towards approaches such as the establishment of innovation labs and open innovation. Trends as digitalization and digital disruption require organizations to develop an innovation culture to be able to manage change and innovation successfully. 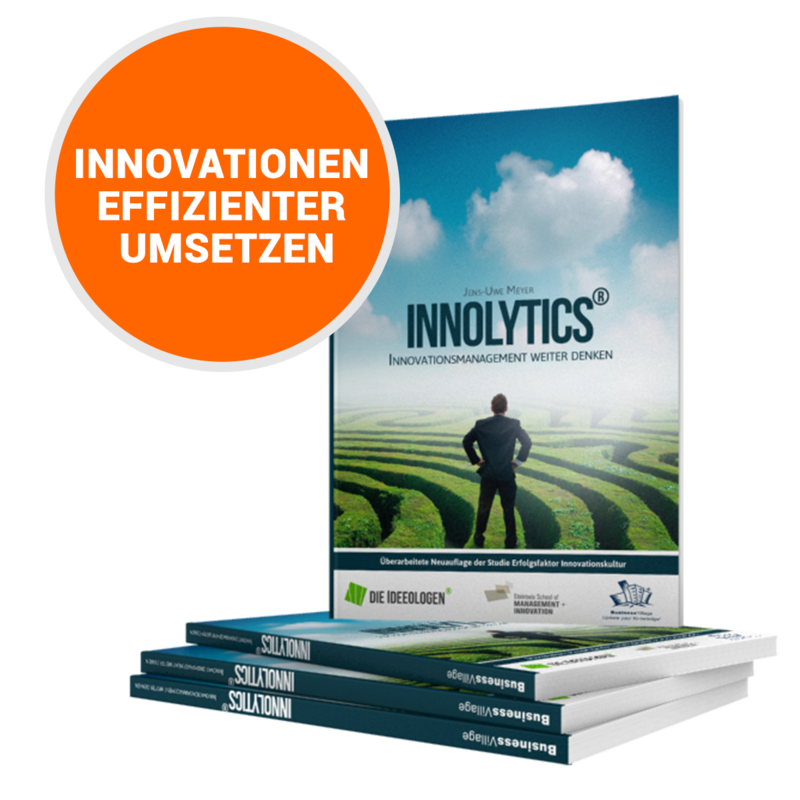 Innolytics® GmbH supports companies with the implementation of modern innovation management through its innovation management software and innovation consulting as well as consulting for the digitization of processes and business models. The first step is to clarify one of the most important questions: What does innovation management mean and why do companies have to re-think? The course of the innovation process – starting with trend analysis, brainstorming and idea generation via conception and product development to the introduction and marketing of a new product or business idea – is called innovation management. The way innovation management is approached has changed dramatically in recent years. Companies are differentiating between product and process innovations. The management of these two types of innovation is different. It also requires different alignments of the innovation culture and a continuous evolution of the innovation capability in order to promote the implementation of product and process innovations optimally. The study “Innolytics® – Thinking Innovation Management Beyond” and the scientific book ” The Innovation Capability of Companies” describe the basic prerequisites for setting up innovation management. 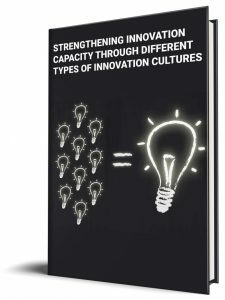 Download our free article “Strengthening Innovation Capacity through Different Types of Innovation Cultures” now. Download the 406-page Enterprise Innovation Capability e-book with more than 300 scientific sources now for free. Stage of generating ideas: Various creativity techniques are used. Methods such as design thinking also help in the early stage. In addition, companies often promote the early stages of innovation management through idea competitions and certain forms of teamwork. Idea development stage: On the way from the initial idea to prototyping, companies often rely on social collaboration: teams with different professional skills and thinking styles deepen ideas together by bringing in different perspectives. Stage of idea implementation: In addition to the standard innovation processes, a number of agile project management methods have been established in recent years. For example, in the development of digital innovations, companies rely on methods such as SCRUM. Until today, the concept of innovation management is strongly influenced by process-oriented approaches, which focus on the establishment of innovation processes, the definition of roles as well as goals and measurement procedures. In 2014 he defined the requirements for a Next Generation Idea-to-Launch System: “Adaptive and Flexible” and “Accelerated”. The same management methods that lead incremental innovation projects to success may lead to the failure of innovation projects with a higher degree of innovation. If innovation management is being used to introduce new products or services, it is aligned to the needs of the customer. The improvement of processes in an enterprise aims at increasing the efficiency of processes and procedures. This includes the optimization of production processes as well as the creation of a corporate culture that promotes and accelerates innovations. One of the most effective methods in innovation management has proven to be the analysis of innovation capability: Barriers in the innovation process and in the innovation culture are analysed through a scientifically based employee survey. On the basis of such an analysis, measures can be developed to adapt innovation management individually to the situation and challenges of a company. Download our free article “Strengthening innovation capacity” now. In innovation management, a fundamental distinction can be made between different strategies. Closed Innovation relies on internal resources as well as employees and ideas from the company itself. Closed Innovation is related to idea management and the continuous improvement process KVP. Closed innovation is often supported by idea management software. Open innovation and co-creation, on the other hand, rely on external input and know-how. The innovation process is opened. The article “Why Open Innovation?” describes the advantages of this approach. Innolytics® GmbH and Munich International Trade Fairs jointly operate an Open Innovation Community: the ISPO OPEN INNOVATION platform, on which tens of thousands of athletes support the innovation management of companies with their ideas and suggestions. ISPO OPEN INNOVATION - Crowd-sourcing for the sports industry from ISPO on Vimeo. Time to market: The time from product development to market launch is significantly reduced. This enables a company to achieve competitive advantages. Cost to market: Productivity in research and development (R&D) is increased. This helps reduce costs. Risk to market: The development risk is reduced by joint developments. Fit to market: Information about customer needs is optimally linked with solution information. Innolytics® GmbH has many years of expertise in setting up an innovation management system that includes both closed and open innovation. The Innolytics® innovation management software supports companies throughout the entire innovation process: from the analysis of innovation capability and structures to trend scouting, the analysis of customer needs and the generation of ideas to innovation monitoring. To simplify the administration of the innovation process, companies rely on the implementation of idea management software and innovation management software. State-of-the-art innovation management software is often integrated into a company’s intranet, supports methods such as open innovation and offers possibilities for collaboration. Search fields derived from a company’s innovation strategy can be defined and communicated. In the early stages of innovation management, search fields, customer problems and trends can be discussed and analyzed through social collaboration. Ideas can be entered, discussed, evaluated and systematically deepened. In the implementation phase, ideas can be assigned milestones, roadmaps and different roles (e.g. responsible person or idea sponsor). Companies can set up an innovation monitoring system in which innovation management experts can keep an eye on the most important key performance indicators. By integrating customers into the development process, developments can be realized close to the customer. The innovation management software supports the establishment and development of innovation networks. Innolytics® GmbH supports companies in establishing and further developing their innovation management systems and innovation processes. In order to be successful in the market tomorrow, future-oriented companies must go beyond the constant improvement of what already exists. A new, radical approach requires us to identify the trends and markets of the future today. We support companies in rethinking and crossing boundaries. Flexibility, new thinking beyond the boundaries of the familiar and a high degree of openness to everything new are the factors for the successful innovation management of the future. New products must not only be unique, but they must also be brought to market very quickly. The radical innovation approach requires innovation management to completely rethink. Flexibility, new thinking beyond the limits of what is known and a high degree of openness to everything new are the factors for successful innovation management in the future. 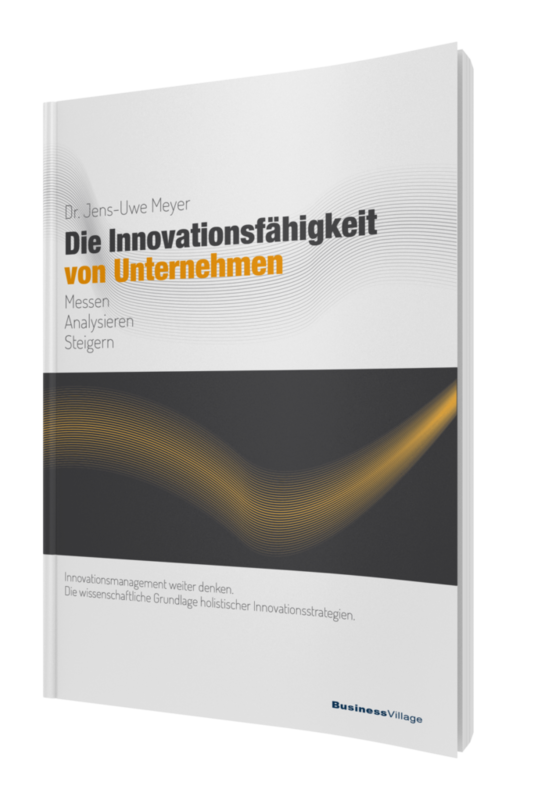 Noch wenige Sekunden und Sie erhalten den Auszug der Innolytics® Studie “Innovationsmanagement weiter denken”.